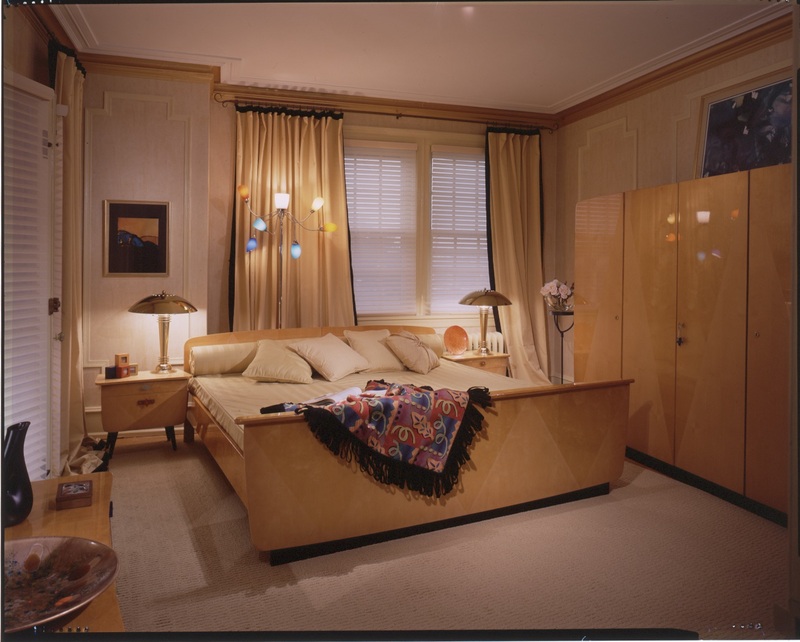 In this design, URODESIGNS used modern pre-war bedroom furniture, and defined the "Deja Vu all over again" style, before other designers picked up on this trend. At the time of this competition, the overall design was a return to the streamlined shapes in furniture and accessories popular in the 1950s. The guestroom and bath were an invitation to be reacquainted with standbys of that era: light wood, and a range of yellow pastels with contrasting color accents. 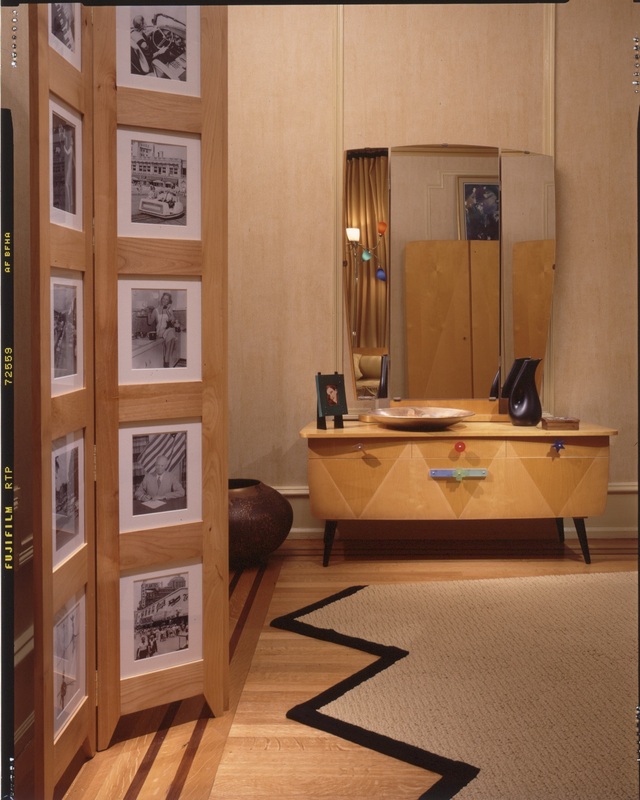 Key points of interest: furniture from the golden era of the 50's in central Europe, an era marked by solid craftmanship; lighting from a Polipo lamp, an Italian contemporary design reminiscent of the 1950s; original accessories such as the black porcelain Italian vase, or Cloisonné trays made in California. Curious to learn when this design was created, or more about our residential project principles? Contact us and we can tell you more!